The Treaty of Rome – the founding document of what is now the European Union – opens with the declaration of the signatory heads of state that they are “determined to lay the foundations of an ever closer union amongst the peoples of Europe”. For those who were old enough to have voted in the 1975 referendum and who complain that they told that the EEC, as it was then, was merely a trade agreement, need only to look at this declaration, on page 3 of the HMSO version. A broader hint it would be harder to conceive, as to the true intentions of the organisation that has now metamorphosed into the European Union. In actually, we have become members of an organisation which is “determined” on political union, its eventual destination a United States of Europe, of which the current institutions – with or without further modification – are the building blocks of its supreme government. The essence of this organisation, as it currently stands, is that it is based on a supranational structure, meaning that its institutions are above – as in superior to – its members states. The Commission has the monopoly of proposal over all but a tiny fraction of EU law, which means that no new law can be created, and no law can be repealed, without its agreement, and that law takes precedence over the laws made by member states. The Commission has the power to fine members for non compliance or non-performance, and the European Court of Justice is the supreme arbiter of the law, making it superior to all the courts in all the member states. All of this we are expected to tolerate for the “privilege” of being able to trade with the other member states on preferential terms – something which other nations are able to do without having to be subordinate to the EU institutions. Moreover, the rest of the world is able to arrange and manage trade cooperation in an equitable fashion, without resorting to supranational structures, which are replicated nowhere else in the world. Instead, other countries rely on intergovernmental cooperation, which has spawned dozens of organisations and institutions, the sum total of which are facilitating and managing global trade on a far larger scale than is the European Union. 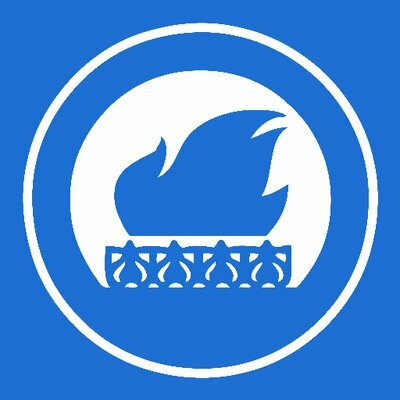 It is our view that the British Government which took us into to the EEC in 1973 made a fundamental mistake in opting for membership of a supranational organisation, when more amendable (and ultimately more efficient) intergovernmental mechanisms were available – and still are to this day. They should not have taken us into such an organisation, where our objective was to promote trade, and its objective was political union. It is this fundamental mismatch which is responsible for most of the tensions between the United Kingdom and the rest of the 27 member states that form the Union. These tensions can only be resolved by the UK leaving the EU and negotiation a new, different relationship based on intergovernmental cooperation. In this, there are no half measures. The EU remains committed to pursuing political union, and even if it were to undertake reforms, it would not change its nature – it would remain a supranational organisation, which is not compatible with the maintenance of a Parliamentary democracy. Therefore, we have no option but to leave the EU. This referendum gives us the opportunity to correct the historic mistake made by past governments in negotiating our entry, in taking us into the EEC and then in approving and ratifying additional treaties – for which they had no popular mandate. We fully support all endeavours to work with our European neighbours, but not on the current terms. We, the free people of the United Kingdom, seek cooperation, not subordination. The choice offered by David Cameron will be a choice between that same subordination or the road to democracy. He will offer us associate membership or a close approximation. While superficially attractive, it offers no real solution to the fundamental problems a supranational entity creates and marks no real shift in our relationship with the EU entity. Nothing he can offer changes the nature of the EU and he can make no guarantees about the destination of our continued membership. We have a better vision and a plan to take us there. The obvious choice is to leave. There is likely to be a soft-sell of “Associate membership” of the EU from now until the referendum. It has already featured in all of the newspapers (no coincidence), gaining a sympathetic hearing from The Times and The Telegraph and it has been discussed on a number of established political websites. It also featured on Radio 4 which discussed the “two speed Europe” and implied that an offer of “associate membership” would bring an end to the notion of “ever closer union” and result in a new structure of the EU with two distinct classes of membership. However, there can be nothing binding about a promise, written or otherwise, that the second class members – including Britain – would be excluded from integration. Political pledges can be broken or reversed at will, and the idea that such a promise could be in any legally binding is risible. There is no guarantee that the UK will not be steadily integrated further into the EU as it completes the supranational government and increasingly seeks to act as a nation in itself. Full members and “associate” members would be travelling at different speeds, but they would still be heading in the same direction. I am quite sure that we will secure some minor “concessions” and empty promises that can be sold to the electorate as victories of negotiations and part of a “new deal”, but any such concessions will not alter the most important – and unalterable – fact. The EU is and will always be the supreme authority. It will retain exclusivity over many key areas of policy; negotiating trade agreements on our behalf, signing international treaties we would have the ability to veto if we were independent. It will hinder us from having the dynamism, agility and adaptability to be a leading free trading nation in the modern globalised world. When we want something, we cannot go direct, we have to go begging to the EU middleman to act on our behalf. There is a global single market emerging, breaking down barriers and facilitating free trade, we should be spearheading this, but do not have the power to do so. This is not going to change, anyone proposing otherwise is either deluded or being deliberately dishonest (and you should be suspicious of their motives). The will not surrender power, it cannot contradict what is in its very DNA, it will only retain and expand its power. The BBC floated the idea – already being discussed tentatively across the media – that other European states may seek the much ballyhooed “associate membership”, and that there may actually be no need for any “re-renegotiation”, as the EU will create this new settlement that we can sign up for willingly. This is a subtle way of stating the obvious, which is there are no negotiations going on, nor will there be, and this “new deal” has already been decided and the only thing left to achieve is for the government propaganda machine to sell it to the British public. What is being sold is a formalisation of second class status within the union, a second rate influence in Europe and a third rate (at best) influence in the world. If that means the prime minister and the like minded members of the government and wider party have to tell bare face lies then that is what they will do, backed up by remain campaigners. This is no longer just a choice between leave and remain, but a vote of confidence in David Cameron and his proposal for the future of Britain. Victory depends on the success of the basic deceit that he can secure a genuine looser association with the EU which both prevents deeper integration and ensures we are not marginalised and put in a situation in which we find our influence in Europe and the world diminished. Brexit advocates have to discredit his arguments, his proposition, even the man himself, if they want to begin building towards a new future as an independent nation state. There is no “new deal” on the table, and no negotiations. Only we can offer a new relationship with the EU, but the first stage in the process of achieving this is to leave. The vision of an independent Britain leading in the globalised modern world is a compelling one, and the Referendum Planning Group has a plan to get us there. Following last week’s freedom of navigation operations (FONOPS) by the US Navy in the South China Sea, the European Union has publicly expressed its support for “a maritime order based upon the principles of international law, in particular as reflected in the United Nations Convention on the law of the Sea (UNCLOS)”. This would be all nice and well if Brussels was consistent in defending international law at sea, unfortunately this is far from being the case. We are not talking about any of the myriad territorial conflicts thousands of miles away from European shores, but rather to the persistent harassment of Gibraltar’s British Territorial Waters by another EU member state. On an almost daily basis, an EU member state uses limited force to deny the status of those waters as part of the territorial sea of a fellow member state, with the additional purpose of disrupting civilians’ life in a bid to force London negotiate against the democratically-expressed wishes of the Rock’s population. All of this is in direct contravention of international law. It is, among others, against the principle of peaceful resolution of disputes, against the right to self-determination, and against UNCLOS. Yet, what is Brussels doing about it? Rather little, if anything at all, I am afraid. Unfortunately, passivity in the face of Gibraltar’s harassment is not seen by Eurocrats as a bar to making their views known on the South China Sea. After all, one of the European Union’s leading characteristics is having an opinion on everything, big or small, nearby or far away. Nothing escapes the gaze of a European Union unable to come to terms with the traditional British concept of limited government. Nothing, except the campaign of harassment against innocent Gibraltarians. Yet, surprisingly enough, those same Eurocrats who stay silent while force is used against the people of Gibraltar are now speaking out against Beijing’s resort to force in the South China Sea. How brave! Are they perhaps dreaming of a second Nobel Prize? If they were serious about peace they would start by putting their own house in order. How credible can the European Union be preaching others to respect international law when this same international law is being violated inside its borders? Hasn’t it occurred to Brussels that Beijing may use the precedent of Gibraltar to its own advantage? Haven’t Eurocrats realised that tolerating the use of non-lethal force at sea contributes to its legitimacy in other corners of the world? Actually, the notion that one could use state ships to try to impose territorial claims was not born in the South China Sea, rather it started much earlier in Gibraltar’s British Territorial Waters. The whole episode illustrates some of the reasons why a growing majority of British people wish to leave the European Union. They were told it was a single market, and a force for peace and reconciliation. Instead, they got stifling regulations, micromanagement in a growing range of areas, a constant threat to their traditional liberties under the constitutional rule of Her Majesty the Queen, and complicity in the harassment of Gibraltar. Those campaigning for the UK to stay in the EU should explain how continued membership will put a stop to the regular violation of British Territorial Waters, the constant defamation of the Rock, and the hour-long queues to punish those who have dared to repeatedly vote against joining “paradise”. This from the Spanish who have turned its colony opposite the Rock into a de facto major base for the Russian Navy, while Brussels, the same Brussels which enjoys posing as the defender of freedom in Eastern Europe, looks the other way. We can only conclude that if Brussels is at all serious about international law, the rule of law at sea, and peaceful resolution of disputes, it should forget about the South China Sea for a while and instead focus on putting an end to the use of force against Gibraltar. If Brussels loves UNCLOS so much, it should start by making sure British Territorial Waters are respected. If it is so keen on the peaceful resolution of disputes in accordance with international law, it should start by demanding that member states refrain from using force in a bid to change existing borders, and instead resort to peaceful methods only, while respecting the internationally-recognized right to self-determination. Then, and only then, will the EU have the necessary credibility to discuss matters relating to the South China Sea. In the meantime it better keep quiet. 50% back leaving the EU! There has been a recent string of polls showing increasing support for Brexit. The most recent, a poll by YouGov this week, puts the support for for leaving at a staggering 50% among decided voters. The YouGov polling shows 17% of people to be still undecided, leaving plenty of room for Brexit campaigners to build up a majority over the coming months. 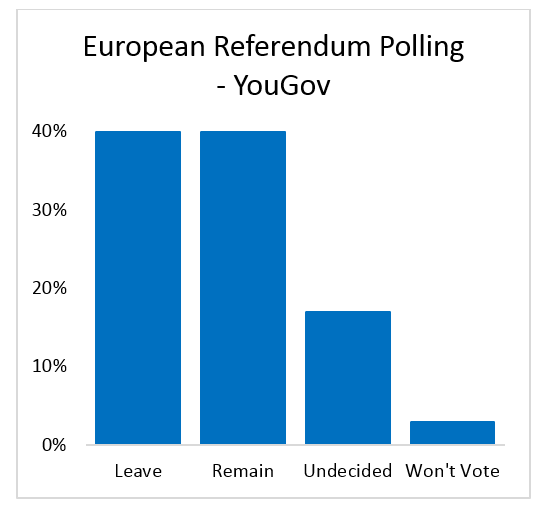 On top of this, another poll by BMG research this week put Leave on 48% vs. 52% for Remain. Because our media don’t bother with foreign news, they wouldn’t have noticed that both Canada and Australia had the “tampon tax” row back in summer. Those who make reference to it at all will claim that Canada abolished the tax. That is not in fact true. It’s a clever piece of accountancy but it remains largely unchanged. Course The Times along with our political class attribute it to the EU, but a quick glance at Google and we see that there is a long list of countries who apply taxes to that strata of produce which suggests it is very much the product of a global convention. As far as we can tell it relates to how the materials are classified globally and registered with the WTO. The EU has probably done about as much as it can without escalating it to the classification level (World Customs Organisation – Code 19 IHS). The EU applies the reduced rate of VAT – which is as far as it can go unilaterally. Once you change the WCO classification you can kill the taxes globally, but given that the material classifications apply to many other products – that won’t be an easy task and won’t be entirely free of politics. The EU may apply an accountancy trick to make it disappear off the agenda, but we need to turn to the global forums to resolve the issue rather than lobbying the EU to look into it. Once gain the EU obscures the international dimension from view and it shows that our politicians and our media are not remotely equipped to inform us or make decisions on such matters. They are not endowed with the necessary knowledge to tell us how we should vote come the referendum. In this and all such instances, we should ignore them. Period. I can see clearly now how the EU referendum will be won by the Europhiles, how the great deception will unfold and how, ultimately, those of us who passionately believe that the United Kingdom should be an independent nation state will be betrayed. Not betrayed by the government, nor the EU, nor anyone else who wishes the UK to remain a vassal state – their intentions are clear – but betrayed by those who purport to be our allies. For those who take more than a passing interest, it cannot have escaped their notice that talk of a major restructuring of the European Union is increasing in volume and frequency. The creation of a monetary union was always a precursor to a political union, for one would inevitably have to follow the other. Now the Eurozone is locked together and the financial crisis has provided the necessary incentive to push on to the next stage of the project. Plans are already in place to deepen the integration of the Eurozone. This will redefine the EU as two blocks; the Eurozone alongside nine non-euro states. This new structure will be put in place ostensibly to prevent the states not in the eurozone being dominated by those that are. Though the significant implications for the non-eurozone members of what is, quite clearly, a two-tier structure are obvious. For those that care to look, the writing is on the wall. The foundations are in place for David Cameron and George Osborne to deceive the British people into believing that this new two-tier structure – that will see Britain become part of the second tier in what will be spun as “associate membership”, the “British model” or some such bilge – is their own idea and victory when in-fact it has been part of a draft EU treaty since October 2013. It will sold to us as a new looser deal for Britain who will then “lead” an outer rung outside the inner core of the Eurozone. George Osborne floated the idea of the two tier membership in the New Statesman in September. In his proposal the majority of the EU ‘would be rapidly integrating to try to make the single currency work’ while the other group – including Britain – who do not want to be part of the “ever closer union” and do not intend to adopt the Euro, would comprise the second tier. Our chief negotiator George Osborne – admirer of Blair and bosom buddy of Mandelson – is spinning this as something new, as if it was his very own brainchild. Yet this upcoming restructuring was already presented in the Spinelli Group, Berteslmann Stiftung draft treaty “Fundamental Law” of 2013, the implementation of which is absolutely necessary to resolve the prolonged Eurozone crisis. It has been discussed long before by zealous federalists such as Jacques Delors and Giscard d’Estaing, is isn’t new or original. The new arrangement will have the double advantage for the EU of sealing the integration of the eurozone and resolving the longstanding issues with Britain and other non-eurozone members. Those in the know can understand this. Not only is the “re-negotiation” merely political theatre, the Brexit debacle is relatively unimportant to the EU, both because they know that David Cameron is not in any way serious, and because plans are already afoot to implement a new treaty regardless of what Britain does. Cameron has tried and failed in a several other deceptive strategies, now he has rested upon piggybacking on the upcoming treaty and his EU allies will gladly play along. Forcing Brussels to make “an explicit statement” that Britain will be kept out of any move towards a European superstate. This will require an exemption for the UK from the EU’s founding principle of “ever closer union”. An “explicit statement” that the euro is not the official currency of the EU, making clear that Europe is a “multi-currency” union. Ministers want this declaration in order to protect the status of the pound sterling as a legitimate currency that will always exist. Then the absurd pretence that this represents a significant, fundamental change that he and his chief negotiator Osborne have achieved will come in to play. This despite the fact that Juncker will issue a white paper in 2017 and a new treaty along the lines of the 2013 draft will be implemented. Thereby a situation in which Britain is locked in a two tier union as a second class member with less influence, the status-quo but worse, will be heralded as a great victory. Most essential of all for the government’s credibility is that the myth is hammered home that this new status was a result of prolonged hard line negotiations in which the British bulldog prised a new deal from the reluctant hands of the EU, who created a “British model” to appease us. This is, of course, absolute garbage. This is pure theatre, an elaborate pretence designed to fool the uncertain swing voters that will win the referendum either way, and convince a clueless, weather vane media that he is striving to win a new relationship and delivering it successfully. The truth is there is no “re-negotiation”. None. There are no negotiations going on, there is no sitting around a table, it is not happening. As a “senior source in Berlin” said; ‘there haven’t been any negotiations’, thus there was ‘nothing to talk about’ regarding the British question during the recent meeting of the European Council. There are no negotiations taking place because the changes that Cameron allegedly seeks require treaty change, and his EU colleagues will not begin treaty talks and rush through implementation simply to meet the needs of the British prime minister. There are no negotiations taking place because the EU is not interested in Cameron’s proposals or ideas, hence why there is no one around the table. The new EU treaty has been set in motion for some time, and the PM’s “demands” are irrelevant. The Five Presidents Report and the Bertelsmann Fundamental Law began a process that now cannot be stopped. The political risk is huge, but this is the opportunity to complete integration and create the supranational government. The treaty will go ahead because there are no options left, with the process likely beginning in 2018. It will be sold to member states as improving the democracy and stabilising the economy of the eurozone. The outer fringe, with their sceptical electorates, will be offered (what is in reality) a formalisation of the status quo as “associate membership” (or whatever label they attach to it) and Cameron will then have all he needs to complete his political ploy. There are no negotiations because the outcome of this act of political theatre has been decided for some time, the great deception is already in play. Osborne and Cameron will go through the ridiculous charade of demanding “associate membership” or the “British model” and their EU colleagues will play along and agree to their “demands”. This new “associate membership” or “British model” will be discussed and pushed from now until 2017, this has already begun in articles propping up simultaneously in the tabloids, do look out for it. Cameron and Osborne will wait for the hapless leave campaigners to burn themselves out as they peak far too early and churn out the same old tired and unconvincing arguments. They are preparing to make the move that they think will win the referendum and give Osborne an easy coronation as PM. Colluding in the great deception will be much of the media; a great many sympathetic journalists will dissemble and simulate in choreographed dishonesty, working in tandem with politicians to confuse the issues in the run up to the final act. Suddenly you will find many former “eurosceptics” turning as they become apparently enamoured and convinced by the government’s great “victory”, including – I contend – several prominent figures you would never have expected to endorse “remain”, and certainly a great number of Conservative MP’s and Ministers who have formerly expressed scepticism. Their strategy is in place and their operation and resources are absolutely formidable, but their offering is phoney and weak and they rely heavily on ignorance. If you believe in an agile, independent, free-trading Britain leading confidently in a globalised world and want to win the referendum – then you must know the strategy of your enemy, seek to discredit it and spread the word. Picking a topical issue as the “poster child” for a referendum campaign is a hugely risky strategy, especially if you are expecting a long campaign when circumstances are likely to change. This looks like being the case with migration, and in particular the Mediterranean crisis which has been dominating the headlines over the summer. As the crisis has developed, it has been gleefully exploited by anti-EU groups as an example of the inadequacy of Union policy-making and delivery. An example of this could be seen in the European parliament yesterday when Nigel Farage responded to a joint address on the migration issue by Hollande and Merkel. This was the first joint Franco-German speech to the European Parliament since Mitterrand and Kohl spoke in November 1989, which had Merkel describe the migration crisis as a test of historic proportions. “In what must count as perhaps the worst piece of public policy seen in modern Europe for half a century … you compounded the already failing and flawed EU common asylum policy by saying to the whole world: ‘Please come to Europe’. And we saw, frankly, virtually a stampede. And we learn that 80 percent of those who are coming are not Syrian refugees“. But what is undoubtedly a major problem for the EU now has the full attention of the “colleagues”, and could be on its way to being resolved. If that is the case, it would create a serious problem for the anti-EU campaigns. The solutions will be cited as an example of the countries of “Europe” successfully working together, turning a campaign asset into a liability. More astute campaigners have always seen this as a possibility. Even though the situation is getting increasingly difficult for Merkel, and dire predictions are to be found in the legacy media, the European Commission is already parading its solutions to the Syrian and Iraqi component of the crisis. Its latest plan is set out in a Draft Action Plan, “Stepping up EU-Turkey cooperation on support of refugees and migration management“. Amongst other things, the EU intends to “mobilise” €1 billion in funds to help Turkey increase the scale of humanitarian assistance it is providing, adding to the € 4.2 billion already “mobilised”. Turkey is also set to benefit from a substantial increase of the EU Regional Trust Fund, which could account for billions more. Some of the money will be used to support resettlement schemes and programmes, enabling refugees in Turkey to enter the EU in an orderly manner. And in exchange for this largesse, Turkey has promised to “continue and further enhance” the effective implementation of the law on foreigners and international protection by adopting necessary secondary legislation and raising awareness of its content among all parties concerned. If this is dry-as-dust stuff, as always with the EU the devil is in the detail. Even though the BBC downplays the deal, Turkey and the EU are continuing talks on what is opaquely labelled the “visa liberalisation dialogue“, incorporating “the visa roadmap and the provisions of the EU-Turkey readmission agreement“. The essence of the agreement was that the Turkish government would undertake to accept the return of irregular migrants who had used Turkey as their country of passage en route to Europe, thereby overcoming one of the greatest problems encountered by reception countries – the absence of a “safe” country that would take them back. Although we are not fully there yet, the current “Draft Action Plan” is another significant step forward which promises to reduce significantly the flow of irregular migrants coming out of Turkey. This, though, is by no means the extent of the EU activity. We learn from the Times that EU Member States are planning the mass deportation of “hundreds of thousands of failed asylum seekers“, after pressure has been applied to countries such as Niger and Eritrea, who have hitherto refuse to take back migrants. But the agency also notes that the returns are due to start extremely rapidly, with Italy planning to start relocating refugees – a group of Eritreans – as early as Friday. This stems from a European Commission initiative taken on 9 September, when it noted that in 2014 less than 40% of the irregular migrants that were ordered to leave the EU actually departed. With the Commission having been “invited” by the European Council “to set up a dedicated European Return Programme”, this is one of the first visible results. Following the Merkel-Hollande address, we can expect even more. And some of that will follow from the High Level Conference scheduled today, while the EU’s operation against people smugglers may reap additional dividends. That is not to say that the problems (any of them) will have been solved. The EU doesn’t work that way. But the federal boot may have kicked them into some exceeding long grass – sufficient to neutralise them as a referendum issue. There is, of course, always the possibility of the alternative scenario, where the problems spiral out of control, to a greater extent than they have already. If that happens, they will be a powerful asset to the “leave” campaign, without us having to labour the points. And on that basis, there is no great advantage in pressing buttons right now. Since there are some potentially serious disadvantages, and it is never a good idea to put all your campaigning eggs in one basket, it would seem that caution is advised. We should think twice, and think again before using migration as a “killer issue” in our toolkit. Who cares about the European Union? What’s all the fuss about? Eurosceptics should get with the times and stop embarrassing themselves by articulating their pesky concerns about national democracy. Speaking at a conference event hosted by European Movement and other pro-EU bodies, Ms Soubry told campaigners they must not ‘underestimate’ the emotion of ‘those who want us to leave’. ‘That is a very difficult thing to begin to debate with, to engage with, and it’s difficult often to beat because they do have this passion that is an obsession. They live it, eat it, drink it, sleep it,’ she said. Yes, that’s us: swivel-eyed, obsessive cranks who are unreasonably fixated on a single issue to the exclusion of supposedly more important matters. Ideologically blinkered and impervious to facts, unlike the enlightened Europhiles who – of course – are so famously open to dissenting ideas. Mark the language: “Get a life”, as though eurosceptics were pale-faced garden shed dwellers who spend too much time fussing over their model railways and simply need to get some sunshine and fresh air. Principled objection to euroscepticism is one thing (though very strange coming from a supposed conservative), but open mockery and dismissal of eurosceptic principles should not go unanswered. After all, what is more important than the future governance of our country? What single issue – healthcare, defence, education, infrastructure, economic policy – matters more than the nuts and bolts of how human beings organise and govern themselves? For in truth, Britain is either losing or has already lost control over many of these areas and will only lose further control as the drive for integration continues. David Cameron’s cosmetic renegotiation effort will make little difference. It’s time to wake up. Losing the UK would be a huge blow to the EU’s international prestige and annual budget, but our European partners are quite willing to see this happen before they compromise on the ultimate destination of a European superstate. Thus, any renegotiated package for the EU is likely to be the worst of all worlds, with Britain committed to maintaining our financial contribution to the EU budget while simultaneously being relegated to second-tier membership status, all in exchange for a few cosmetic and largely irrelevant “concessions” from Brussels. Eurosceptics already know this. That’s what makes us tick. That’s why we get up earlier in the morning, that’s why instead of spending an extra hour in front of the television at night we write blogs and articles instead, trying to inform and persuade our fellow citizens. It matters too much to be ambivalent. Eager to see increased defence spending, a stronger military and a bigger role for Britain on the world stage, or humble pacifist who wants to scrap Trident and disband the military entirely? It doesn’t matter, because the EU is itching to push ahead with long-established plans for a common defence and foreign policies. Are you an easy going multiculturalist or deeply concerned about balancing immigration with community cohesion? It doesn’t matter, because as an EU member state these matters are out of Britain’s hands. In fact, on issue after issue, key questions of national self-determination are quite simply above our own prime minister’s pay grade. The EU sees the nation state as outdated and so seeks to undermine it by the creation of rival supranational institutions which gradually take on more of the top-level responsibilities, while simultaneously building up the idea of EU regions, thus undermining the nation state from both sides. Anna Soubry glosses over the real existential questions, because she has no answer to them. In place of serious answers to serious questions about how to preserve democracy in the absence of the nation state, she has glib jokes, soundbites and barbs aimed at those of us who actually take these things seriously. Like Ukip, Leave.EU is going to spend the entire campaign making work for Brexit campaigners, robbing us of time better spent on other things. Still, since this post is infinitely reusable it’s worth doing. The above meme is doing the rounds and it’s worth debunking claim by claim. The first claim that freedom of movement is at risk is untrue. There is no practical possibility that we could disengage from the single market. Politically, we couldn’t even if we wanted to. That consequently means freedom of movement stays. The EU wouldn’t allow it any other way, and nor would business. The claim that millions of jobs rely entirely on EU membership is the oldest and most boring meme in the book. the jobs depend on trade – and as per the previous point, our membership of the single market is not affected by leaving the EU. The peace in Europe meme is also a myth. If anything has kept the peace it is NATO, largely propped up by the USA. The EU’s meddling in Ukraine is certainly a contributory factor to the low grade civil war happening there now, and the EU’s failure to deal with the asylum crisis may reignite tensions in the Balkans. Claim four is completely out there. As I have discussed on my blog at length, regulation is not written by the EU. It’s made by Codex, ILO, UNECE, UNEF, WHO and a whole host of other bodies, largely influenced by corporates and alliances such as the Cairns Group. The EU talking shop does little more than rubber stamp regulations and by the time they reach the middleman there is little hope of editing them – and when we are structurally outnumbered, there is no chance of unilaterally vetoing them. What that means is that we cannot refuse a regulation which could wipe out entire industry sectors, much like small slaughterhouses in the 1990’s. That’s why the EU is not a democracy. The fifth claim that the EU promotes tough environmental regulation is an interesting one. Again, the EU is not the author of such regulation and these are mainly the concern of the UNEP, WHO and various climate accords that are made internationally. If anything, the EU is a means of watering them down. That said, it is not a given that the promotion of tough environmental regulation is necessarily a good thing. There are many examples of bad and counter productive environmental regulations that could have been averted had we had a veto at the top table. The claim that all member states abide by the same rules again ignores where most of the rules come from. Australia complies with the same rules for a number of industries, yet they are not obliged to surrender their veto at the top table like Britain has. Regulatory convergence is central to the concept of a single market, but the EU is not the single market. The single market of uniform regulations actually depends on which industry to which you are referring. The single market in automotive regulations extends far beyond the EU’s own internal market and is set to go global in the next decade – with other industries to follow. As to farming subsidies helping agriculture, indeed they do. But we are the second largest contributor to the EU budget and by leaving the EU we would repatriate what we pay in subsidy and pay it directly, possibly reducing some red tape in the process. We would maintain subsidies and there is no rational case that suggest we would not. Moreover, running our own subsidy system means a withdrawal of the CAP, which even the most hardened europhile will admit has a pretty damning history in terms of environmental protections and food production. The claim that Brexit will lead to big business leaving Britain is a nonsense. It’s a wholly empty threat. We know this because Brexit would not involve trade tariffs since the WTO rules out discriminatory tariffs and we would remain members of the EEA single market anyway. It’s a non issue and it doesn’t affect business. Both Airbus and Vauxhall have said they would stay in the EU. Some notable ones have hinted they might, but have made no definite declarations. All we see is idle threats, mostly from companies who depend entirely upon corporate welfare. The suggestion that we would be a maverick state is somewhat peculiar. By not being in the EU is Norway an isolated rogue state? Australia even? No? It’s absurd. And since we’re not going to leave the single market, isolation is so risible it’s not even worth another sentence. Finally, the employment legislation is largely the product of the International Labour Organisation. We would keep most, if not all of it – and we would still adopt ILO conventions in the future. Australia does and so does Canada. Where extradition is concerned, it’s always best if our own courts have the final say – though there is no objection in principle to reciprocal agreements. Most of this is detailed in EUReferndum’s comprehensive Brexit plan. We are used to seeing this kind of low grade tat and if it didn’t come from Leave.EU it would likely be produced elsewhere. I’ve seen similar before and thoroughly debunked it. The irritation here is that it takes less than ten minutes for the “Remains” to concoct a nasty piece of propaganda like the above, but we have to de-construct the entire edifice of EU lies from the last forty years and explain to people the reality of the power structures.